Remarkably, Chvrches hadn’t played their home town since 2014 (they’ve been too busy literally touring the world). Back home for one night only, they played at the massive Hydro arena, which goes to show the meteoric rise in their popularity in a few short years. Though Chvrches may be only a few years old, the three band members have been around the business a long time and singer Lauren Mayberry makes a point during the show of rhyming off the many bands they’ve been part of over the years with varying degrees of success. Supported by Shura and The Twilight Sad (a past band of Martin from Chvrches) the crowd were well warmed up for the arrival of Chvrches. Never Ending Circles opens the show with its massive riff. For a brief moment when Lauren starts to sing it sounds like her voice might get lost in the cavern of a place but from the second line in she is belting it out and it stays that way for the rest of the show. She barely put a foot wrong, other than clattering the stage with the mic during Science/Visions. They promise new songs and old songs, meaning songs from their first album The Bones of What You Believe and songs from their second album Every Open Eye. We hear the majority of both albums, and both are as well received as each other. The crowd are up for it, but really come alive on Tether, a highlight from their first album and stand-out song of the night for me. The song was just made to be played in a massive arena like this and the guitar just makes it soar – although they are really an electronic band, I would love to hear them make more use of guitars in future. Straight after Tether is an excellent extended version of Playing Dead with Lauren on drums, ending with her lying on the stage, from where she starts Science/Visions. Martin takes over on lead vocals a couple of songs later and I’m surprised how much he gets the crowd going, especially on Under the Tide, where we get a mass sing-along. He even gives a shout out the to guy in the crowd who is “taps aff” – the Glasgow phrase for being shirtless. The main set ends with second album highlight Clearest Blue and the place is literally bouncing. For the encore we get the beautiful Afterglow and another mass sing-along on The Mother We Share. Crowd photo from Chvrches Facebook page. All other photos my own. 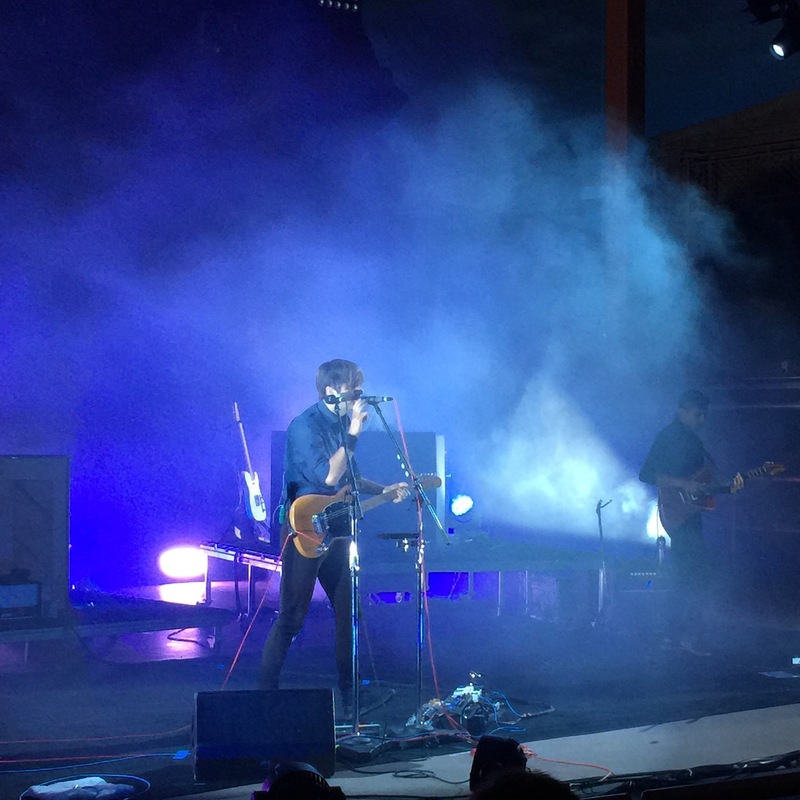 Soul Meets Body as Benjamin Gibbard and the iconic indie-pop band enthrall the faithful in a sold-out show at Red Rocks. 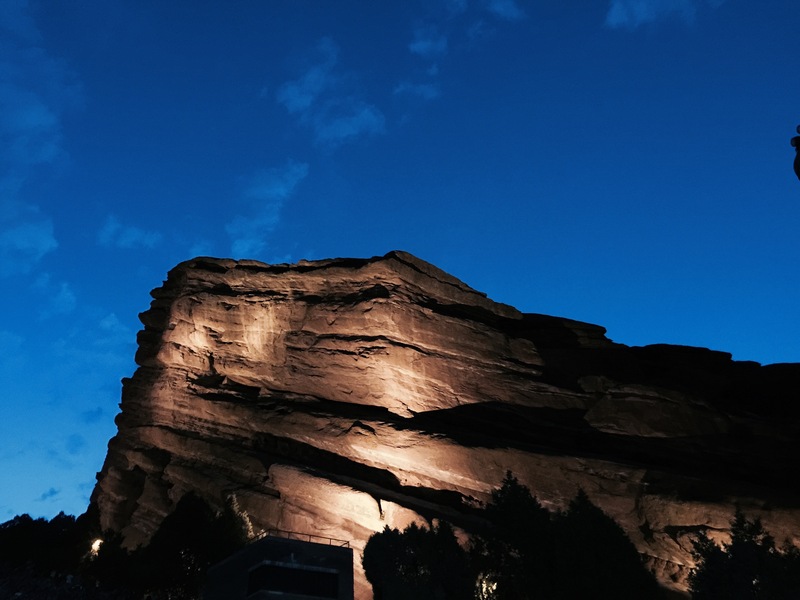 Red Rocks Amphitheatre is one of America’s very best concert venues and a personal favorite. 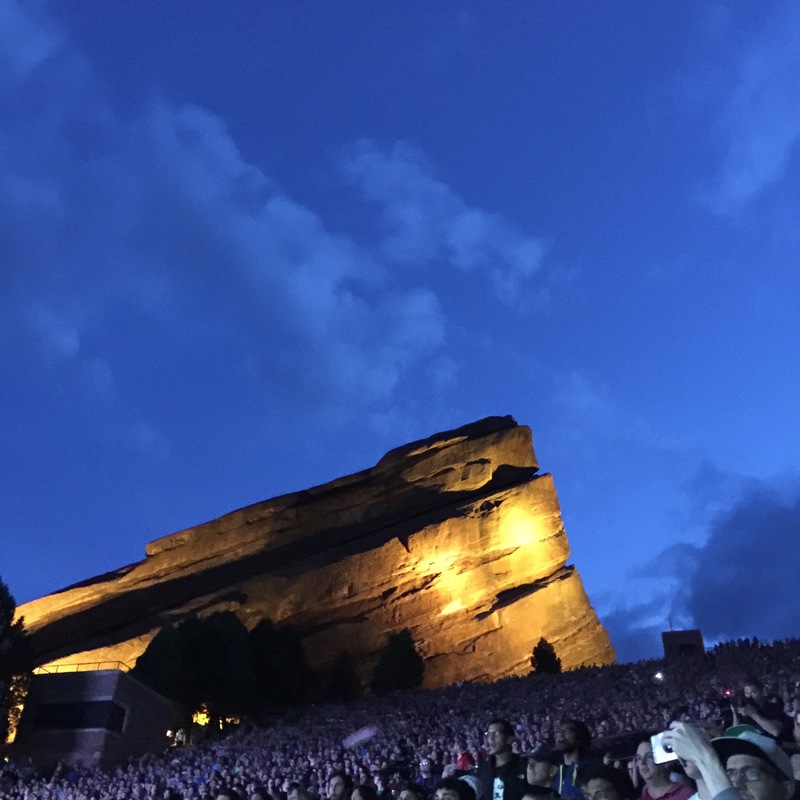 Just outside Denver, Colorado in the town of Morrison, Red Rocks is a natural amphitheatre with sandstone walls that create a tremendous sound environment and is hollowed out with great sight lines to the stage. On a gorgeously clear mid-summer night under the stars on July 15, 2015, the stage was set for a magical night with Death Cab For Cutie in front of an ecstatic crowd of mostly young, mostly female adherents after an enthusiastic opening set by tUnE-yArDs and their blend of polyrhythms and vocal effects. DCfC is an excellent and underrated live act and their fans are some of the most ardent in music. They seem to fill the same places emotionally to their audience that The Cure filled to an earlier generation. On their first major tour since 2012 to promote the new outstanding “Kintsugi” album, DCfC drew from all stages of their surprisingly long career and rich catalog (eight studio albums) going all the way back to 1998’s Something About Airplanes. Ben Gibbard’s voice, equal parts Neil Young and Neil Finn, is a wonder – plaintive, open and expressive while simultaneously holding a hint of bitterness and threat that combine to make a romanticly dangerous, or dangerously romantic, combination of obsessivesness, melancholy and sweetness. The lyrics are thoughtful, literate and full of longing but with a bit of an edge that keeps them more edgy than maudlin. In concert, Gibbard bobs and weaves like a boxer in front of a double mike setup that includes his vocal looping kit used on tracks like “You Are A Tourist” and periodically moves back to the piano. Nick Harmer on bass prowls his part of the stage like a panther and Jason McGerr on drums pounds out a surprisingly sturdy rhythm for a pop band. Dave Depper on guitar/keyboards and Zac Rae on keyboards/guitar fill out a deceptively lush sound. Gibbard keeps the between-song patter to a minimum which services the carefully crafted set list to move between moods and emotions without a break. His playing showed no ill effects from the wrist injury he suffered this spring. Kintsugi is an ideal metaphor for DCfC’s music, so ideal that if it didn’t already exist someone would have had to invent it. Kintsugi is the Japanese art of repairing broken pottery using gold, silver or platinum as the interstitial. The idea is to celebrate brokenness and highlight the beauty of being broken. 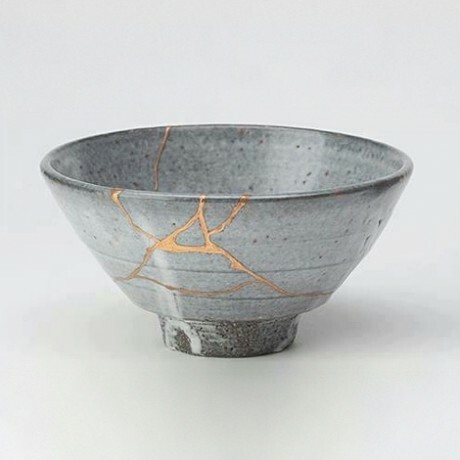 We are all broken people in one way or another and kintsugi highlights the beauty of the brokenness unique for every individual, telling the story both of the breakage and the repair. Without being too heavy-handed here, that’s a great description of DCfC’s songs as well, particularly the ones on Kintsugi. As Gibbard approaches 40, it’s hard not to focus on whether the lyrics apply to Gibbard’s recent divorce from Zooey Deschanel and the rebuilding of his life since then, but the tie is inescapable on lyrics such as “Black Sun“‘s line “How could something so fair/Be so cruel”. Although Kintsugi’s songs are largely somber, melancholy and wistful, there is also passion and beauty in the lyrics, music and singing that both revels and reveals pain while searching for beauty. This is Night Music that you play to acknowledge Pain before the Dawn you know is coming. 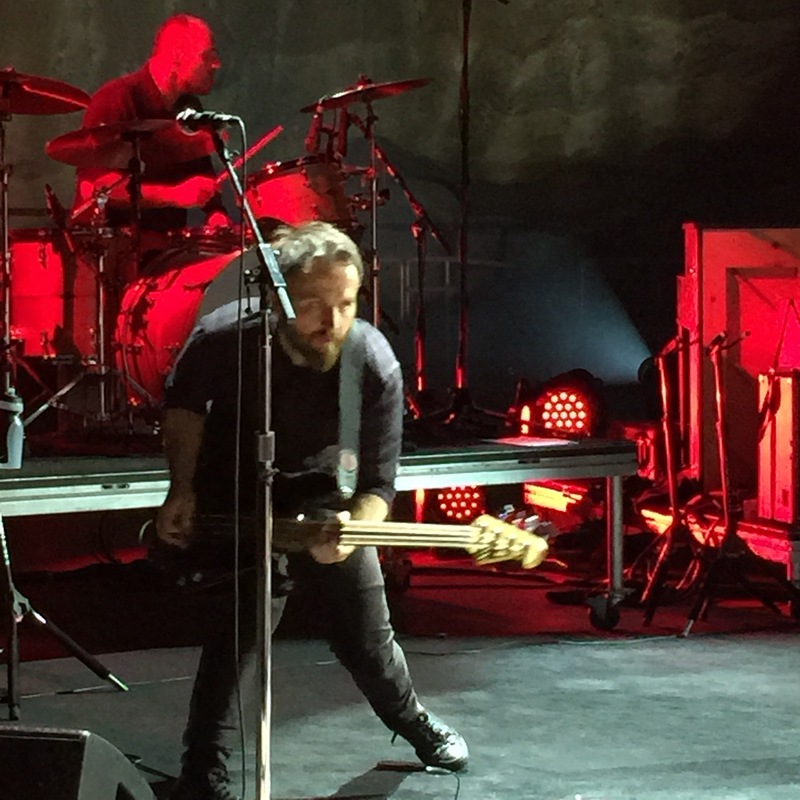 DCfC’s music is more complex and brooding than typical indie-pop and I was impressed that the crowd seemed to fall right in on some of the complex pieces. An example is “I Will Possess Your Heart”, to me one of the best songs of the past decade and which opens with 2:00 of feedback and squall led by Gibbard with Harmer locking down the bass, followed by another 2:00 of piano moodsetting over the driving beat before any vocals kick in. Other highlights of the show included a skronking version of “The New Year”, the driving pulse and riffs of “You Are A Tourist”, and the pallet cleansing of the acoustic interlude for “I Will Follow You Into The Dark”, to which the entire audience sang along note for note like it was a Dashboard Confessional emo concert. Other than I Will Possess Your Heart, the high point for me was their usual set closer, a transcendently romantic and crystalline version of “Transatlanticsm”. Transatlanticism is one of my all-time favorite songs, and I’m always amazed by how moving the music and simple lyrics like the repeated “I need you so much closer; Come on now” refrain can tug at your heartstrings. No video of Transatlanticism here because I put the phone down, got in touch with my inner tween girl and lost myself singing along with the crowd. Every once in a while you have to do things like this to not only remind you that you’re alive, but why you’re alive. 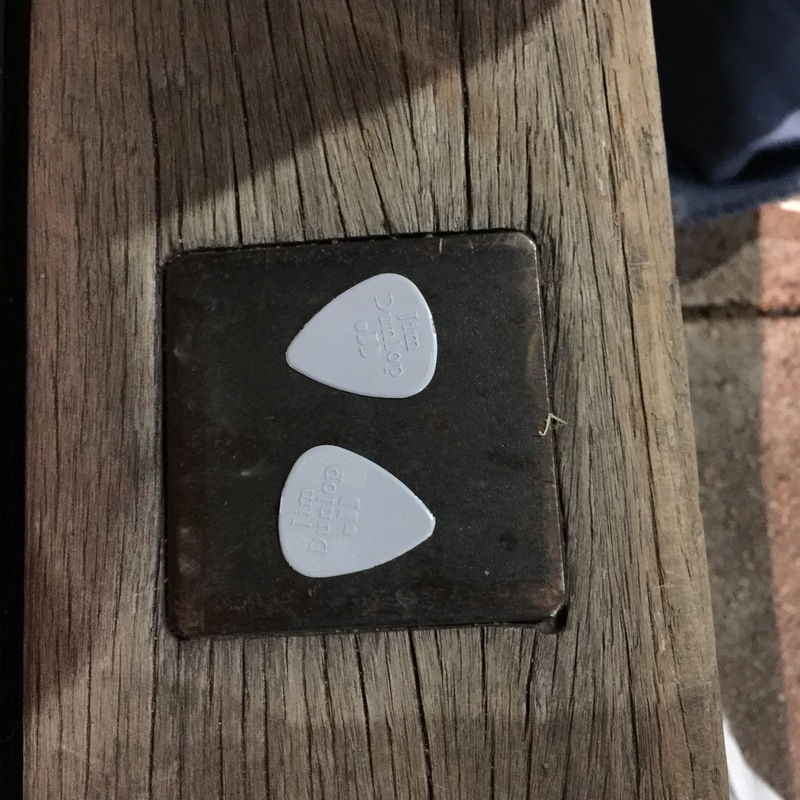 As they left the stage at the end of Transatlanticism, Gibbard flipped me his guitar picks and the evening was complete. The teenage version of me would have been happy to skip life and proceed directly to Heaven from that point. No-longer teen-age me wouldn’t quite go that far, but it was still a reminder of the power of music to move the spirit. We all need that reminder from time to time. Thank you DCfC.